If you you have a shop, trade or business related to fashion you probably have marked in red the first weekend in February 2018 and is that this weekend will be held at IFEMA the International Exhibition of Fashion. Our brand Root Sunglasses & Watches participates in this edition of Momad Metropolis to be held between 2 and 4 February in the special space created for Momad Metropolis called "Sustainable Experience" where we will officially present the developments of our lines of natural products Sunglasses natural Wood, Mixed Sunglasses, and Mixed Premium with Wood temples and our collections of natural Wood watches ahead of the 2018 season to the the businesses and traders than visiting the fair . 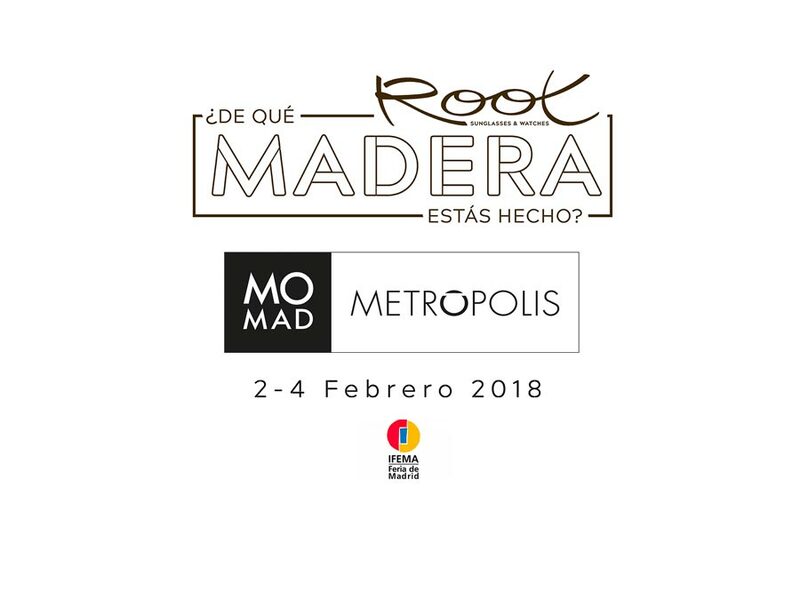 Momad METROPOLIS held at IFEMA - Feria de Madrid biannually and is one of the international fashion fairs reference internationally. Here present our products leading companies in the fashion industry and businesses and professionals from many parts of the world come in order to learnthe latest trend in fashion and incorporate into their shops. AREA Sustainable EXPERIENCE : The concern Momad to promote sustainability and responsibility in the fashion industry, this specific area within the fair which will host all companies in the textile, footwear and develop ethically in creating production or marketing. Firms and designers working, among other features, an outstanding social responsibility, local production, with crafts, respect for biodiversity, sustainable distribution or ethical HR policy. All fashion professionals interested in natural products Root Sunglasses & Watches have an appointment the first weekend in February 2018, visit our stand MS28 located in Hall 14 of the exhibition center IFEMA - Feria de Madrid where our guests can explore firsthand the universe Root Sunglasses & Watches know the our latest developments ahead of the season will begin and add it to your trades. If you can not attend the fair and you are interested in receiving information about wholesale of our products you can require the catalogs with Wholesale prices of our products accessing to the page:Wholesale Information on our website.